6. 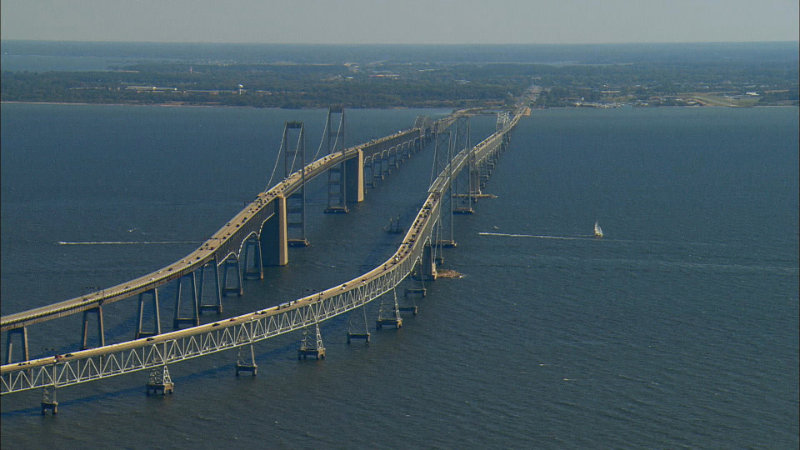 Chesapeake Bay Bridge, Maryland, USA. This five-mile long bridge stands 220 feet high. Poor visibility and violent storms at times stop drivers who want to cross the bridge that spans the Chesapeake Bay. 7. Lake Pontchartrain Causeway Bridge, Louisiana, USA. 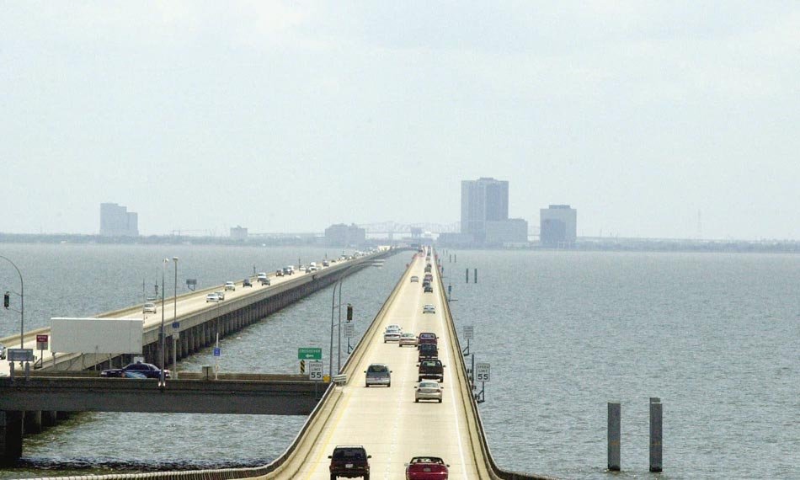 This 24 mile-long bridge links New Orleans to Mandeville, in Louisiana, crossing the Lake Ponchartrain. 8. Eshima Ohashi Bridge, Japan. When observed from a distance at its side, from the beginning to the end of the bridge, it reveals a slight ascent. It ascends so that ships can pass through under it. 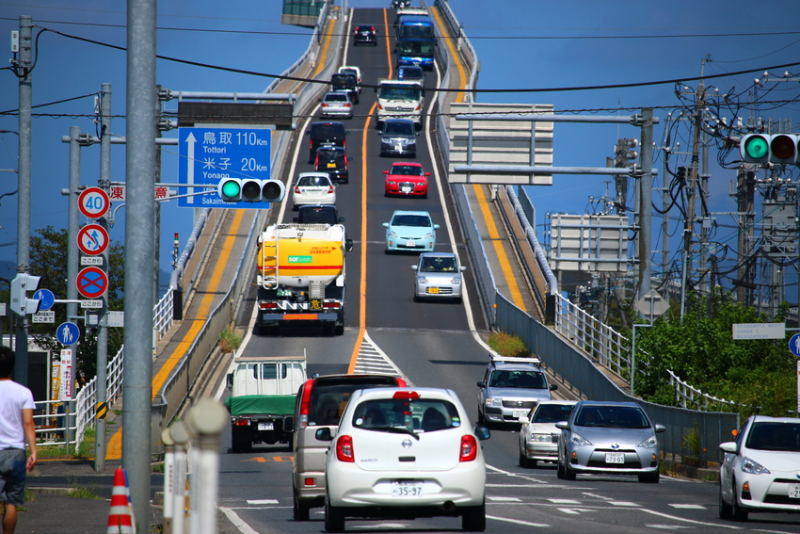 The bridge stretches a mile across Lake Nakaumi in Japan and links the cities of Matsue and Sakaiminato. 9. Titlis Cliff Walk, Engelberg, Switzerland. Built suspended 1,500ft above a glacier in the Swiss Alps, the Titlis Cliff Walk in Engelberg, Switzerland is one terrifying walkway. 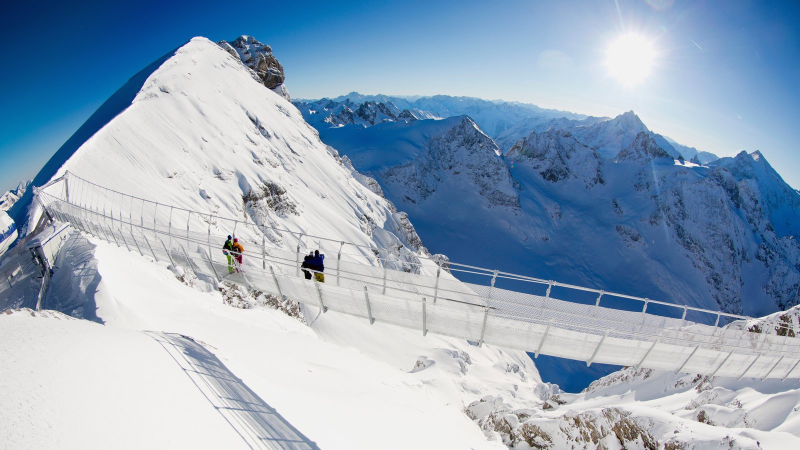 At 9,000ft above sea level, the Titlis Cliff Walk is the highest suspension bridge in Europe. 10. Aiguille du Midi, Rhône-Alpes, France. 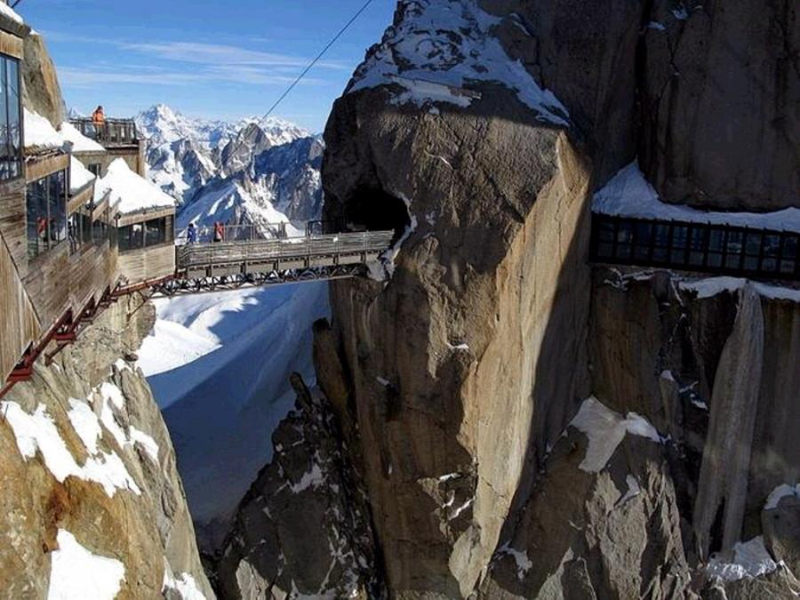 One portion of the Aiguille du Midi Bridge stands out: its short footbridge that stretches across two of its spires. Its sky-high view of rifts is not for the weak and terrified souls.